Please SEND a MESSAGE below to help save the area! THESE STANDS are now IMMINENTLY ENDANGERED, WITH NEW ROAD BUILDING UNDERWAY in preparation for planned LOGGING. Read the Ancient Forest Alliance’s April 2017 press release on Echo Lake. 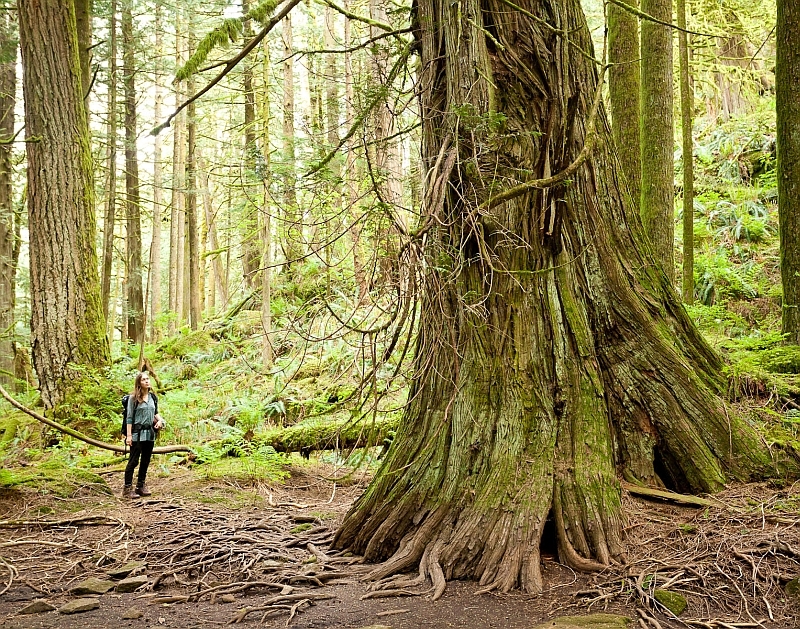 See spectacular photos of the Echo Lake Ancient Forest. Watch a recent drone video taken at Echo Lake. View our original Youtube clip of Echo Lake. See beautiful photos of eagles at the Harrison-Chehalis estuary. Echo Lake is a magnificent, unprotected lowland ancient rainforest in British Columbia between Mission and Agassiz, east of Vancouver. The region is home to perhaps the largest concentration of bald eagles on Earth, where thousands of eagles come each fall to eat spawning salmon in the Harrison and Chehalis Rivers and hundreds roost in the old-growth trees around Echo Lake at night. It is in the traditional, unceded territory of the Sts’ailes First Nations people. 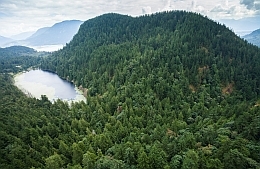 The BC government recently protected about 55 hectares in Old-Growth Management Area (OGMA) primarily on the south end of Echo Lake, but have excluded important old-growth stands on the west and north sides of the lake, as well as mature forests that buffer the ancient groves and provide important scenery and wildlife habitat around the lake. In addition, the BC government is currently proposing a Wildlife Management Area to protect the habitats and wildlife of the nearby Harrison-Chehalis Rivers and Estuary which supports the vast numbers of salmon and eagles. This is an important step forward for conservation that will allow the protection of some wildlife, like hundreds of feeding eagles which are often flushed into the air by human disturbance, and will also help protect the wetlands and spawning habitat of wild salmon. SEND a MESSAGE by entering your info and comment in the fields below! I urge you to expand the Old-Growth Management Area at Echo Lake, east of Mission in the Chilliwack District, to support the establishment of a Harrison-Chehalis Wildlife Management Area, and to commit to protecting endangered old-growth forests across BC. Echo Lake is one of the last remaining lowland old-growth rainforests left in the Lower Mainland and is the night roosting site for what may be the largest bald eagle congregations on Earth. The nearby Harrison-Chehalis Rivers and Estuary support these massive eagle congregations, who come to feed on some of the largest and healthiest salmon runs on Earth. This area is imminently endangered, as road building is currently underway in preparation for logging of three cutblocks. The current boundaries of the Old-Growth Management Area (OGMA) at Echo Lake encompasses old-growth forests on the south side of the lake, but still excludes the old-growth forests on the north side and part of the west side of the lake. The OGMA boundaries should be expanded to include all of Echo Lake's surrounding old-growth and mature forests on public lands. This could entail shifting the current logging licensee's boundaries into second-growth forests in another area, out of the old-growth and mature forests around Echo Lake. In addition, the BC government is currently proposing a Wildlife Management Area in the region to protect the habitats and wildlife of the Harrison-Chehalis Rivers and Estuary. This is an important step forward for conservation that will allow the protection of some wildlife, like hundreds of feeding eagles which are often flushed into the air by human disturbance, and will also help protect the wetlands and spawning habitat of wild salmon. I support the legal implementation of the Harrison-Chehalis Wildlife Management Area. 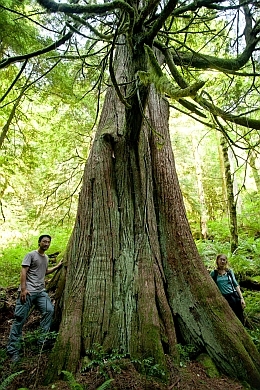 Lastly, old-growth forests across much of British Columbia are endangered due to a century of overcutting. Old-growth forests are vital to support endangered species, the climate, tourism, clean water, wild salmon, and many First Nations cultures. 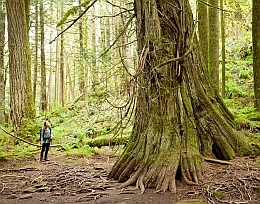 I'm asking that you establish a Provincial Old-Growth Strategy that will protect all of BC's endangered old-growth forests in regions where they are now scarce (the Lower Mainland, Southern Coast, Vancouver Island, Inland Rainforest, Southern and Central Interior, etc. ), to ensure the sustainable logging of second-growth forests, and to end the export of raw, unprocessed logs to foreign mills in order to sustain BC forestry jobs. Thank you very much for considering my input. BC Liberal Party Leader Christy Clark | BC NDP Leader John Horgan | BC Green Party Leader Andrew Weaver | Laurie Throness, BC Liberal candidate for Chilliwack-Kent | Patti MacAhonic, NDP candidate for Chilliwack-Kent | Josie Bleuer, Green Party candidate for Chilliwack-Kent | Steve Thomson, BC Liberal candidate for Kelowna-Mission | Dan Hines, Green Party Forestry Critic | BC Minister of Forests, Lands and Natural Resource Operations | BC Minister of Environment | Premier of BC | Leonard Feldes, Resource Manager, Stewardship, Ministry of Forests, Lands and Natrual Resource Operations. Echo Lake is also home to bears, cougars, bobcats, deer, mountain goats and osprey, and was historically populated by the critically endangered northern spotted owl. In a region largely converted to second-growth tree plantations, one small gem of classic, lowland, old-growth temperate rainforest remains: Echo Lake. 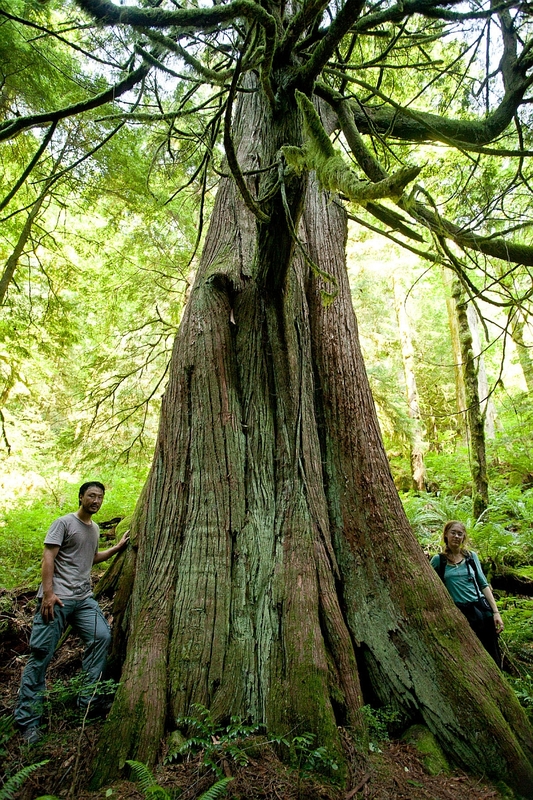 Across southern BC, well over 80% of the original, productive old-growth forests have already been logged. 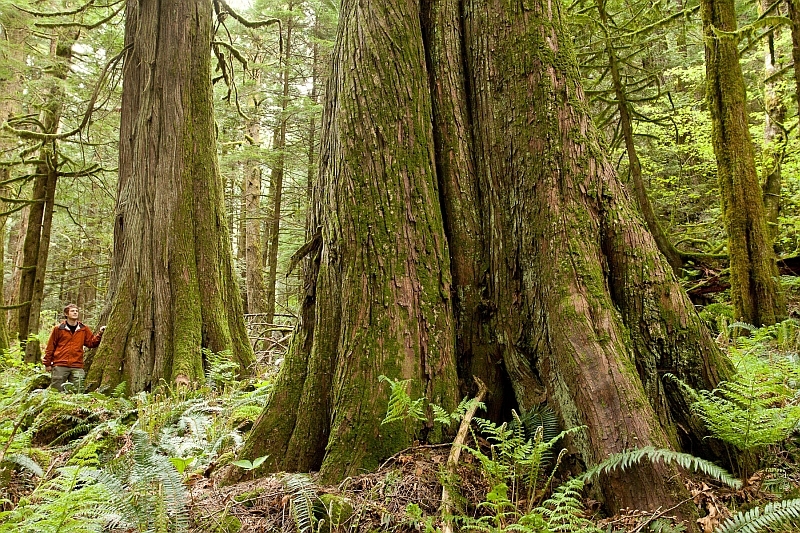 Across much of BC, old-growth forests are now gravely endangered due to decades of overcutting. Old-growth forests support endangered species, wildlife, tourism, recreation, clean water, the climate and many First Nations cultures. 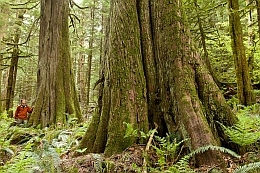 (Sign the online petition to protect all of BC’s endangered old-growth forests). MAKE your VOICE HEARD! Please WRITE AN EMAIL or SEND A MESSAGE to the BC government. 1) Expand the boundaries of the proposed Old-Growth Management Area at Echo Lake to include all of its surrounding old-growth and mature forests on public lands, including those on the north and west sides of the lake. This plan could entail shifting the current logging licensee’s boundaries into second-growth forests in another area, out of the old-growth and mature forests around Echo Lake. Lowland old-growth forests are extremely rare today, and Echo Lake is globally important for roosting bald eagles. 2) Implement the Harrison-Chehalis Wildlife Management Area to increase protection for the habitat and wildlife in a region where thousands of bald eagles congregate to fish during the annual salmon spawn. 3) Establish a Provincial Old-Growth Strategy to protect endangered old-growth forests across British Columbia, while ensuring sustainable logging in second-growth forests and ending the export of raw, unprocessed logs to foreign mills in order to sustain BC forestry jobs. Or SEND A MESSAGE by entering your info and comment in the fields above. © Copyright 2012, Ancient Forest Alliance.